Chandigarh: Punjab has recorded the highest per-capita milk availability of 937 grams per day, followed by Haryana's 679 gram, according to a report by Assocham. "In terms of per capita availability of milk in 2010-11, Punjab was the leader among the 20 major states with 937 grams of milk available per person per day, followed by Haryana (679 gram), Rajasthan (538 gram) , Himachal Pradesh (446 gram) and Gujarat (435 gram)," the report said. "Besides, with dairy output worth over Rs 3,600 crore, Punjab ranked seventh with about six per cent share in the country's total dairy output worth over Rs 60,255 crore," the report said. Punjab is ranked sixth in terms of direct employment being generated in registered dairy units and the state has a share of about four per cent in 1,493 registered dairy factories across India, it said. However, Punjab has registered the slowest growth in milk production during 2006-07 to 2010-11 at around three per cent, which is below all-India average growth of about 19 per cent. Andhra Pradesh (AP) has recorded highest growth in terms of both milk production and per-capita availability, thereby clocking a growth of over 41 per cent and about 36 per cent during the five year period starting 2006-10. However, the state ranked third in terms of milk production with over 1.1 MT of milk produced annually. Apart from AP, Rajasthan (28 per cent), Kerala (24.8 per cent), Karnataka (24 per cent) and Gujarat (23.7 per cent) are among the top five states in terms of clocking high growth in milk production. "Milk production across India has grown at a significant rate of about 19 per cent during the aforesaid period with overall milk production crossing 121 MT mark as of 2010-11. 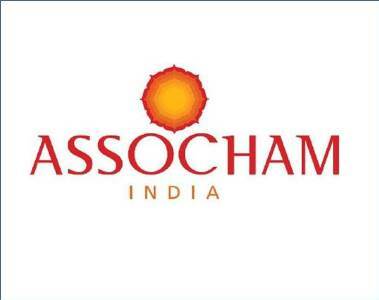 "But despite being the largest milk producer in the world, per-capita milk availability in India at 252 grams falls below the global average of 279 grams per person per day," DS Rawat, National Secretary General, Assocham, said in a release.